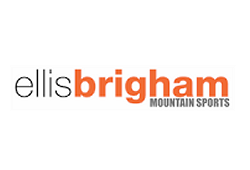 One of Britain's leading winter sports retailers over many years, Ellis Brigham started life as a cycling and climbing shoe manufacturer in Manchester way back in 1933. Nearly 8 decades on and it has grown into one of the country's leading skiing and winter sports chains, and is still a family-owned business whose headquarters remain in Manchester. The online side of their business was first developed back in the 1990s but really started to take shape after 2000. Ellis-Brigham.com is now one of the UK's best websites for buying ski and snowboarding gear, especially some of the high-end brands. Look at the list of skiing and snowboarding brands below, both in clothing and equipment, to get a feel for the amount of gear that Ellis Brigham have online. Top this off with a great range of accessories and you've got a very fine winter sports website. A list of the skiing, snowboarding and outdoor clothing brands stocked by Ellis Brigham, as well as any ski equipment and accessories.